Their storefront is always so intriguing. I haven't been inside a bar by myself to have a drink in a long time. Don't miss it. If I want a beer I'll come home and have one at home. I'm boring like that. It is an interesting place. They used to play jazz from a big reel to reel machine - good jazz. Love this facade! Nicely captured. Very eclectic storefront. Nice image Bill. 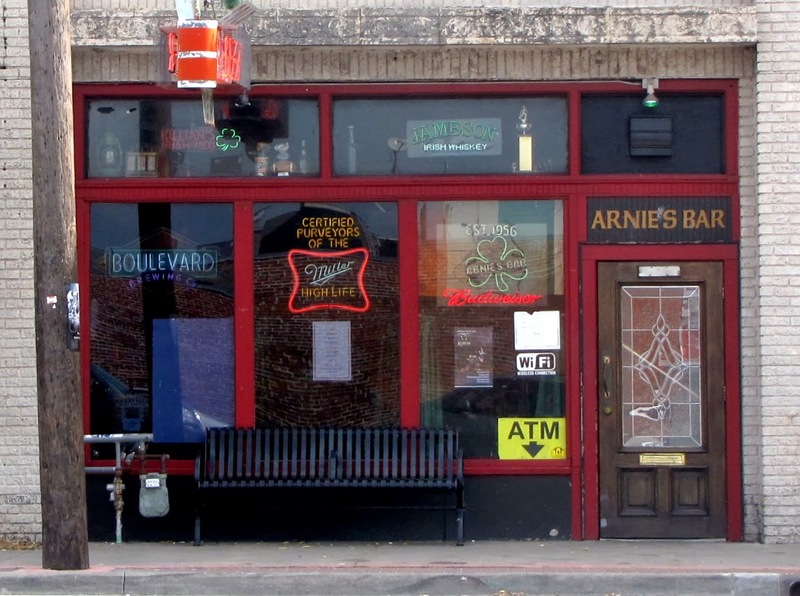 Not being an imbiber personally, Ive never been to Arnies to knock back a Guinness, BUT! Usta go every St Patrick's day to get a bowl of "Mrs-I-cant-remember-her-name-right-now's' Home made stew which was available on that day only every year. Neat place.